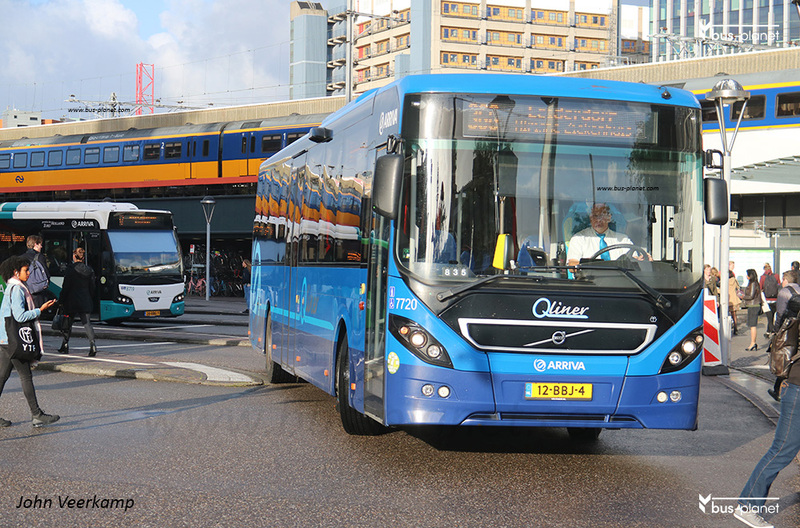 For the large number of Qliner services Arriva bought 60 Volvo 12-meter buses in the blue Qliner livery. They are used on the 300-series routes. Buses 7701-7703 went to the DAV concession in October 2013, followed by 7704 beginning of 2014and 7731-7732 later. When the R-net concept was introduced on a regional level buses 7701-7718 were repainted red to serve on R-net route 400. By the end of 2017 numbers 7719-7722 and 7751-7755 were also repainted red. In December 2018 buses 7701-7704 and 7731-7732 returned from DAV. Picture(s) taken by John Veerkamp. Netherlands. Leiden. dd: 2017-09-11.